Island Hotel in Newport Beach is a real find, where elegance meets effortless coastal meets cultured, work merges with play. Today complements timeless along one of the most desired coasts in the world. This is a hotel that puts a premium on providing guests with impeccable accommodations, no matter which room or suite you choose. 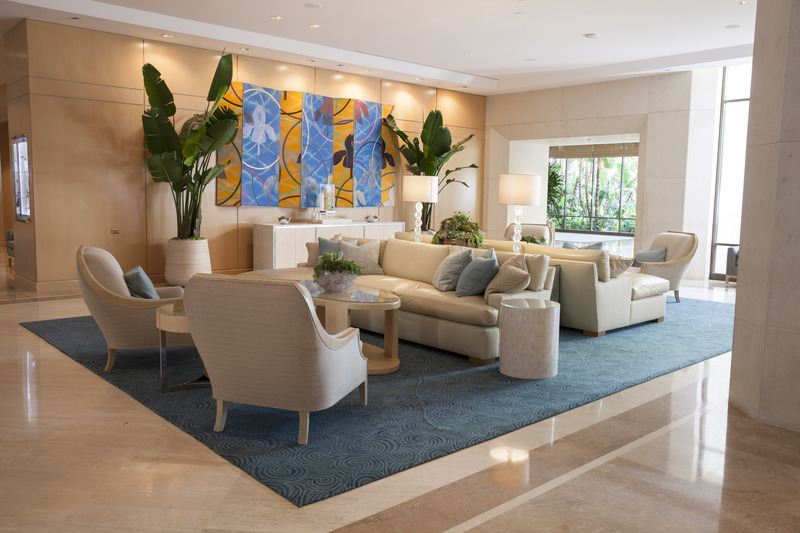 Comfortable sitting areas create an air of welcoming familiarity and with a step-out balcony or furnished patio in every room, you can inhale ocean breezes with breathtaking views of Newport Harbor, Newport Back Bay and the Pacific Ocean. Bathrooms are all marble, the mattresses are custom-designed with luxurious linens and goose down duvets, and the coffee makers by Keurig. Art on the walls is California-inspired and well curated. Room rates start at a reasonable $209. So whether you’re here for business or play, just relax and enjoy you’ve earned it. Before we settled in, we went on a shopping spree across the street at Fashion Island, Orange County’s premier coastal shopping experience, an upscale and open-air home to specialty boutiques, world-class department stores, restaurants and more. Then we took some time to enjoy the hotel’s spa. It was an ideal way to take some time to reconnect with ourselves. A luxurious massage and soothing facial treatment melted away stress and reinvigorated our mind, body and spirit. 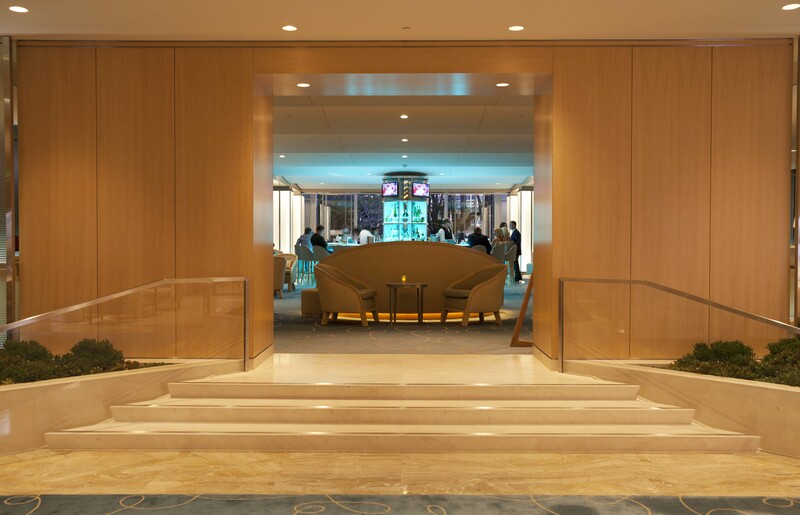 As night fell, we headed to Aqua Lounge for drinks, a cool little shimmering hotspot off the lobby where we collapsed into a banquette. After fueling up on specialty cocktails mixed tableside, it was on to Oak Grill where classic influences meet contemporary cuisine. We ate on the tree lined deck and listened to music while we drank excellent Pinot Noir and ate a perfectly-grilled steak and superbly-cooked fish. 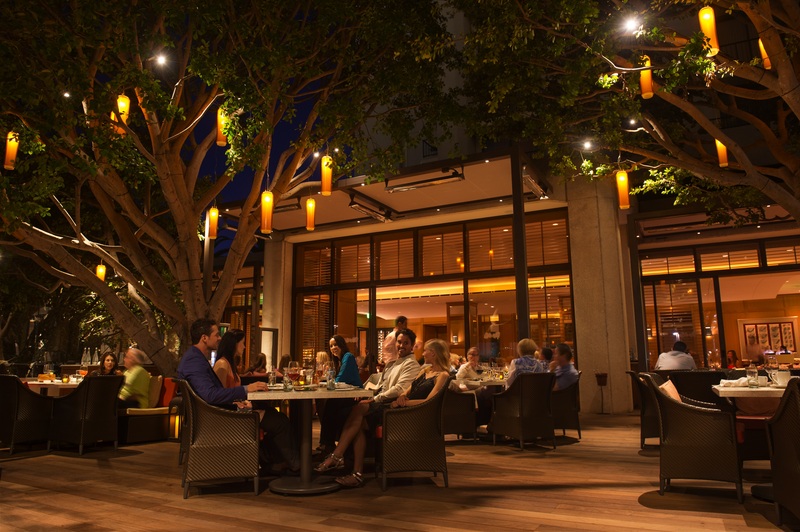 Oak Grill is a true California original, an exciting dining destination that appeals to the appetite and the aesthetic with an atmosphere of subtle and inviting elegance that extends from the light-filled interiors to the lush and extensive outdoor deck. A festive fire pit and two private dining rooms add to the ambiance and help create the perfect setting for breakfast, lunch, dinner or any special occasion. A robust program of craft beers is mostly local, and all delicious. They also boast one of the most extensive and creative wine lists in the area, and with a broad selection of wines by the glass, we have the perfect pairing for every dish. 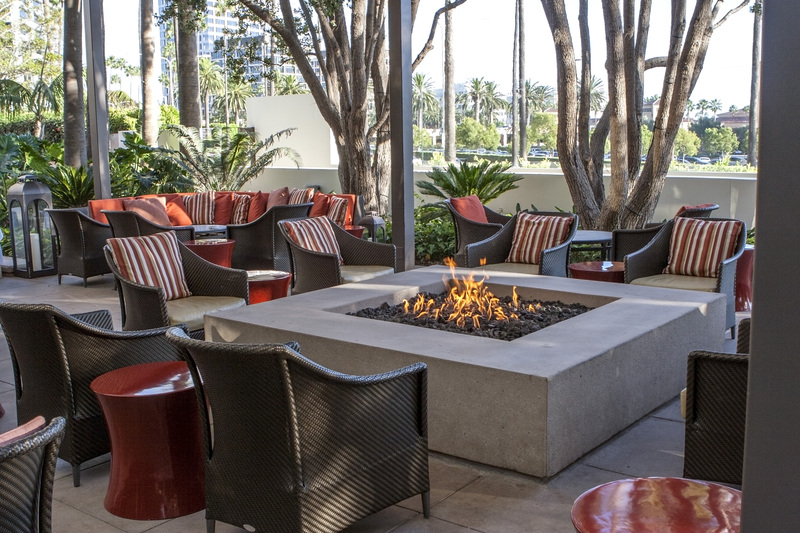 The cozy, yet roomy Fireside patio area is the perfect place to take in beautiful Newport Beach sunsets and crisp ocean breeze, not to mention gorgeous views of the Resort-style pool, Oak Grill’s tree-lined deck and Fashion Island. Enjoy live acoustic music nightly at Fireside from 6 – 9 p.m. Monday through Saturday, and from 5- 8 p.m. on Sunday. The next morning, in an effort to banish the cobwebs, we took a dip in the hotel’s crystal-clear 3,000 square foot heated pool and jumped into the Jacuzzi. Then the steam room. All was then well with the world. We could have gone hiking or biking, but we were more than content to loll about in the majesty of the hotel. The staff were all wonderful from the moment we checked in. Credit must go to the dynamic General Manager, Gerard Widder, whose eagle eyes don’t miss a thing and engaging spirit is felt by every guest. Make sure you pay the small extra charge ($50) for two and treat yourself to a pleasant departure from the ordinary by joining the Island Club. 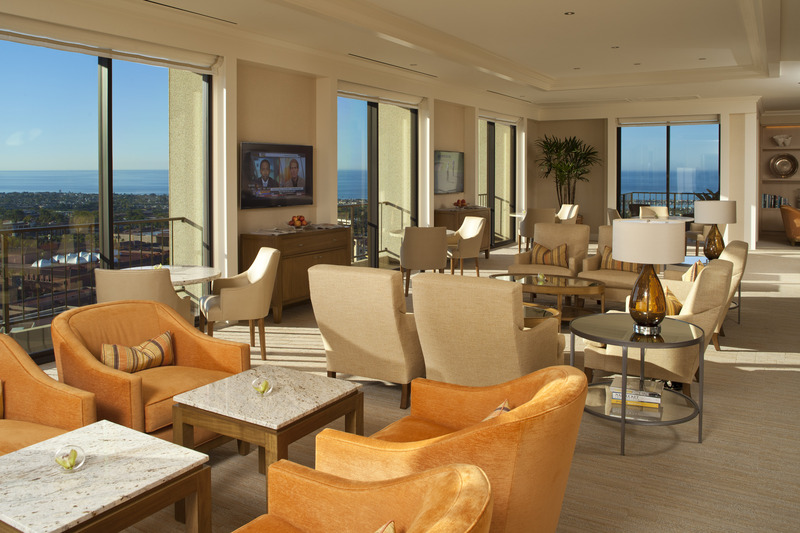 Then you’ll receive an array of premium upgrades and amenities, all enjoyed in the comfort of a 20th floor lounge with sweeping views of the Newport Beach coastline and harbor. It’s a little indulgence that goes a long way, ie continental breakfast, snacks, appetizers, evening desserts, beer, wine, drinks and pleasant civilized hospitality. Plus 20% off at the Spa and dry cleaning/pressing for four garments a night. And lots of other goodies. Island Hotel has all the comfort, style and service you need, whether on a vacation with the family, alone as lovers, or away on a business trip. They do an especially brisk business with small corporate groups but they do it in a manner that never gets in the way of the essence of maintaining an intimate boutique hotel feel. 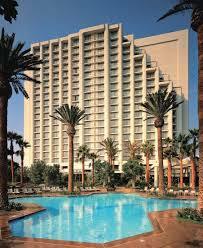 Island Hotel, 690 Newport Center Drive, Newport Beach, CA 92660, (949) 759-0808, http://www.islandhotel.com. They have zillions of value-added packages that will appeal to all, especially golfers who can play at the two nearby courses, Pelican Hill and Oak Creek Golf Club. The Coastal Collection, which is made up of Irvine Company Resort Properties, including The Resort at Pelican Hill, Island Hotel Newport Beach, Hotel Irvine, Oak Creek Golf Club and California Recreation Company (which operates marinas and offers Dufy boat excursions). What’s unique about the collection is that each entity strives to be best in its class, providing top-notch customer service, but playing outside the box a bit when it comes to each personality. For instance, while The Resort at Pelican Hill is more of a Five –Star, luxury experience, Hotel Irvine is more of a lifestyle hotel catering to business travelers, families and millennials. 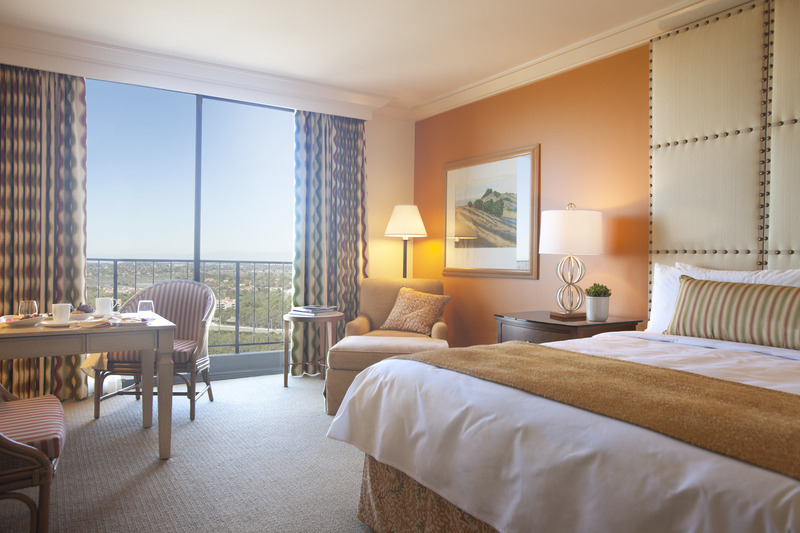 Island Hotel Newport Beach is more of a casual, coastal luxury property catering to locals, business and leisure travelers. What’s also nice about being part of the Irvine Company’s Coastal Collection, is the company is about long-term ownership and reinvestment – meaning none of the properties are at risk to being sold, as so many properties are these days.